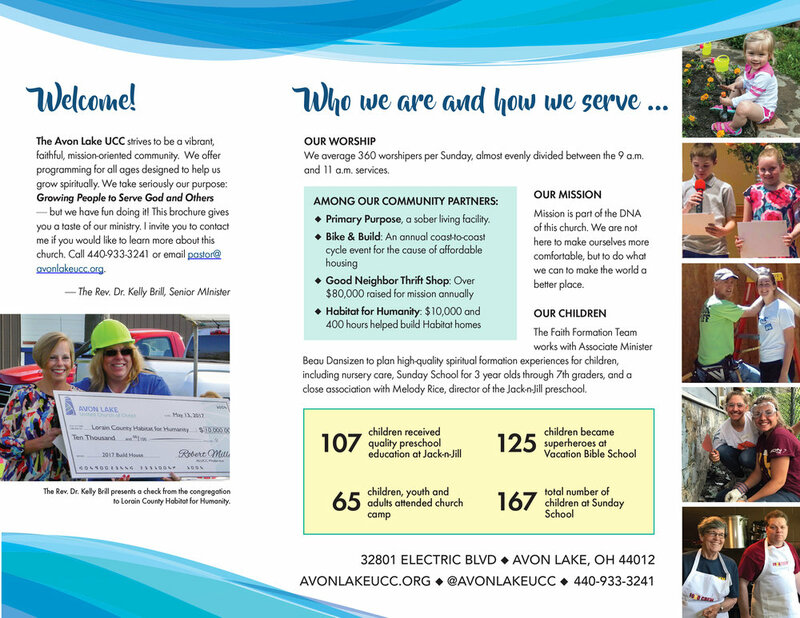 Well-edited copy, action photography, a design that plays off branding colors ... this brochure for an area local church has all the necessary ingredients to proclaim boldly the congregation's identity. The client also had me do a second brochure on mission. Click to enlarge and scroll through images.